Robert Grupp is a corporate communications executive and public relations consultant with more than 30 years experience in science-driven businesses and trade associations operating in the US, Europe and Asia. Bob is President of Grupp Global Partners LLC, an independent management consultancy with a strategic focus on corporate communications and international public relations. Also, he is Adjunct Instructor in Global Strategic Communications in the Master of Arts in Mass Communications Program at the University of Florida. He was President and CEO of The Institute for Public Relations where he served as a Trustee for eight years. The Institute is an independent nonprofit that bridges the academic and professional fields, supporting public relations research and mainstreaming this knowledge into practice through education. Previously, Bob was Vice President of Corporate and Public Affairs at Cephalon, Inc. He also has held senior positions managing corporate communications at Eli Lilly and Company, at Dow Corning Corporation and at Consumers Energy. He was 2008 president of the International Public Relations Association (IPRA) and co-chaired the IPRA Public Relations World Congress in Beijing. The World Congress attracted 500 senior practitioners from 40 countries. 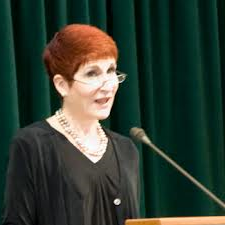 Stephanie Danes Smith is a public relations consultant and a college instructor who spent more than 25 years as a federal government senior executive. She has considerable leadership experience in strategic communications, crisis management, strategic planning, global support operations and organizational design. Her executive positions included leading thousands of federal government employees, designing and managing programs with budgets of several billion dollars and interacting regularly with Congress. Smith currently is an adjunct professor at Kent State University where she teaches the foundational course and elective courses for undergraduate students majoring in Public Relations. Also, she is principal at TrueNorth Strategies. She holds a Bachelor’s degree in Journalism and Public Relations from Kent State University and a Master’s degree in Public Administration from the Kennedy School of Government at Harvard University. 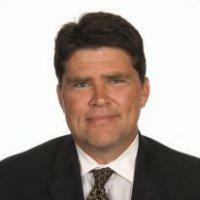 Tim Flaherty has over 25 years of professional experience consulting for private and public organizations in strategy development, organizational transformations, strategic communications and public affairs planning, execution, and measurement. He currently leads the Strategy & Organization Teams’s Strategic Communications service offerings to the Defense market at Booz Allen Hamilton. 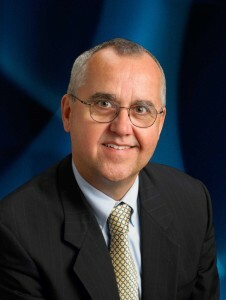 His professional interests include strategic planning, public outreach and involvement, legislative and regulatory affairs, crisis and risk communication, media/public relations, international affairs, facilitation, dispute resolution and program evaluation. 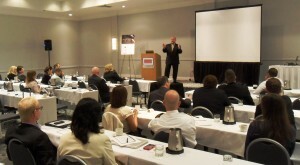 He also is expert at facilitating strategic planning sessions, conferences, hearings and public meetings.